Na een follow-up van 27 maanden was het verschil in het optreden van een recidief 85 patienten in de TCM-groep versus 120 patiënten in de TACE-groep. Het verschil in mediane overall overleving was 34 sterfgevallen (TCM-groep) versus 57 doden (TACE-groep) op 3-jaars meting. Dat is een verschil van ca. 45 procent. Waar vind je die verschillen in de reguliere oncologie? Uit het persbericht van ASCOpost dus uit de reguliere oncologiehoek en de studie is gepubliceerd onder copyright van de American Cancer Society. The clinical efficacy of traditional herbal medicine (n = 180) was compared with transarterial chemoembolization (TACE; n = 184) in its ability to prevent postoperative recurrence of small hepatocellular carcinoma in this prospective randomized controlled study. Disease recurrence was observed in 205 participants: 85 in the traditional herbal medicine cohort and 120 in the TACE cohort at the end of data collection. Traditional herbal medicine was associated with a statistically significant increase in median recurrence-free survival time and median overall survival time compared with TACE. Multivariate analysis showed that traditional herbal medicine independently influenced recurrence-free survival and overall survival. 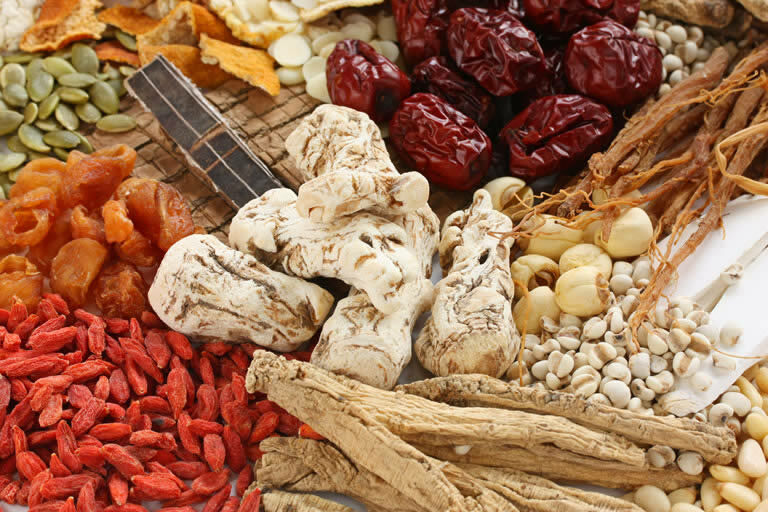 The authors concluded that traditional herbal medicine was superior in preventing recurrence of small hepatocellular carcinoma and prolonging overall survival compared with TACE. The efficacy of THM was found to be superior to that of TACE in preventing disease recurrence in patients with small hepatocellular carcinoma and prolonging OS. To explore the clinical efficacy of traditional herbal medicine (THM) in the prevention of disease recurrence of small hepatocellular carcinoma after surgery, a prospective randomized controlled study was conducted between October 2006 and May 2010. The results indicated that THM prevented the recurrence of SHCC with an efficacy that was superior to that of transarterial chemoembolization (TACE) during a median follow-up of 26.61 months. The patients were followed up every 6 months, and the clinical data before October 20, 2015 were analyzed. The primary outcome measure was recurrence-free survival (RFS), and the secondary outcome measure was overall survival (OS). The 364 patients included 180 in the THM group and 184 in the TACE group. At the time of the data cutoff of October 20, 2015, a total of 205 patients demonstrated disease recurrence, including 85 patients in the THM group and 120 patients in the TACE group. The median RFS of the THM and TACE groups demonstrated a statistically significant difference (P<.001). Until October 20, 2105, there were 91 deaths, including 34 in the THM group and 57 in the TACE group. The median OS demonstrated a significant difference between the 2 groups (P = .008). Multivariate analysis indicated that THM was an independent factor influencing RFS and OS. The efficacy of THM was found to be superior to that of TACE in preventing disease recurrence in patients with small hepatocellular carcinoma and prolonging OS. Cancer 2018. © 2018 American Cancer Society. Reageer op "Traditionele Chinese Kruiden - TCM voorkomen veel beter een recidief van levertumoren en geeft 45 procent betere overall overleving dan Trans Arteriele Chemo Embolisatie (TACE) copy 1"
Chinese kruiden: Xiaoshui, een Chinees kruid, vermindert significant ontstekingen bij levertumoren en verlengt significant 1 jaars overleving van 14,3 % naar 33,3 % wanneer gegeven naast reguliere behandelingen van levertumoren.